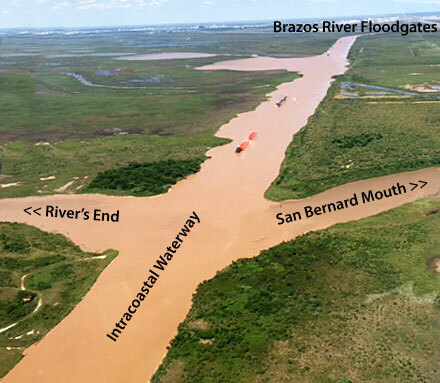 The muddy water from the flooding Brazos River has worked its way thru the floodgates flowing westward on the Intracoastal Waterway past the intersection of the San Bernard River. It has also made its way upriver towards the village of Rivers End. Barges can be seen on the ICW heading east toward Freeport.